Martin, Karl. Reliefs des Alten Reiches und verwandte Denkmäler. Teil 3. Corpus Antiquitatum Aegyptiacarum. Pelizaeus-Museum Hildesheim, Lieferung 8. Mit Beiträgen von Peter Kaplony. Mainz am Rhein: Philipp von Zabern, 1980, pp. 56-58. 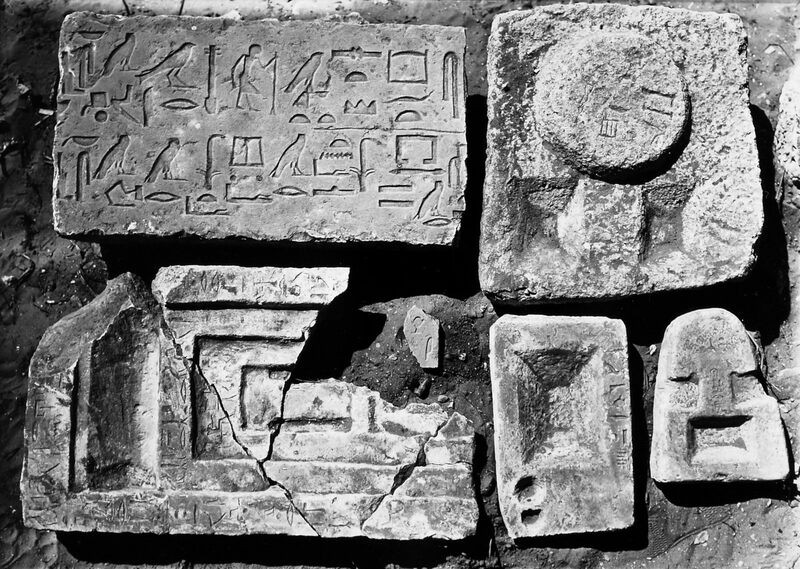 Remarks Owner of Ibinedjem (unnumbered mastaba excavated by Junker). Offering basin (Hildesheim 3043) inscribed for Ibinedjem, identified as [xntj-S] palace attendant; found in situ in mastaba of Ibinedjem. Uninscribed seated statue (Cairo JE 35566) attributed to Ibinedjem; probably from mastaba of Ibinedjem (excavated by Ballard).